Why Ripple Cannot be Mined? Is it Possible to Mine? Home › Mining › Why Ripple Cannot be Mined? Is it Possible to Mine? Cryptocurrencies are the new trend these days. The trend of cryptocurrencies started with Bitcoin. While a lot of people discovered the potential of Bitcoins, they discovered the mining process as well and soon mining became one of the important property or cryptocurrencies. Cryptocurrencies are based on blockchain ledger and mining of cryptocurrency is the process of verifying cryptocurrency transactions to add it to the blockchain ledger. Cryptocurrency mining has gained as popularity as Bitcoin or cryptocurrencies. Cryptocurrency miners receive some reward for solving mathematical puzzles and verify the transaction. Cryptocurrency mining requires some specialized software and hardware for which your computer or the special mining devices can be used. The process consumes time and electricity as hardware time and electricity is the investment in this case. Mining is an expensive and time-consuming process and so miners always look for some short-term mining coin with good rewards. Ripple is a technology company based in San-Francisco which aims to provide cross-border payment solutions. With ripple platform, users can send/receive money in any currency in just a few seconds. It has a goal to eliminate the traditionally high cost and time-consuming transactions. Is it possible to mine ripple? Mining a cryptocurrency requires a lot of efforts and resources. It will drastically change your electricity bill but will be worth too. There are mining pool for most of the cryptocurrencies but even if we dig it hard we do not find Ripple mining pool. Does that mean that mining ripple is not possible? Well yes, that is the truth. Ripple mining pool is not available because mining of ripple is not practically possible. There is no such option available and you cannot simply mine ripple. There is no tool or software available for Ripple mining and if you find any that is a scam, beware. If you google search it, you will be re-directed to bitcoin or Ethereum mining but not Ripple XRP. So, yes pin it, Ripple XRP cannot be mined at least till now and near future. Centralized cryptocurrency or decentralized cryptocurrency? Ever since Bitcoin and other cryptocurrencies came into existence it is very clear that no cryptocurrency is regulated by any company or firm. This is not the case with Ripple though. It is said that Ripple is regulated by a central company Ripple enterprise which has control over the cryptocurrency. Ripple company is responsible for the creation and distribution of Ripple. This is one big and most important reason why Ripple XRP cannot be mined. Since the currency is regulated by a central authority it cannot be mined. Since the beginning ripple is the only cryptocurrency favorite for banks which is not the case with other cryptocurrencies. Cryptocurrencies aim to replace the current banking system however Ripple aims to help banks to improve their system. Ripple has no competition with banks and ripple clearly claims that by using ripple technology in financial and banking institutions, the high cost and time of transactions can be reduced globally especially while doing cross-border transactions. As there is on competition, banks have adopted Ripple with open arms. Ripple has signed a partnership with many of the banks and financial institutions. 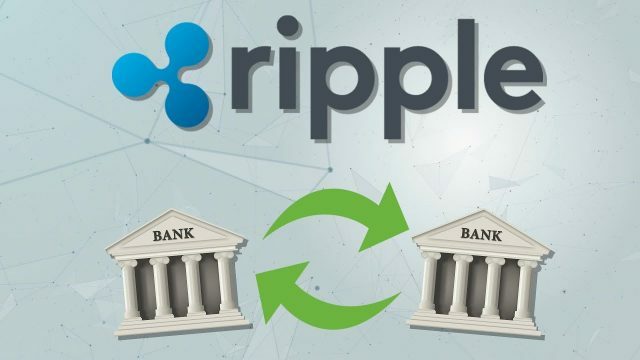 The reason why banks agreed to the partnership is that ripple has no plans to replace the fiat currency but to provide quick and cheap cross-border transactions. This is a reason that ripple is backed with government agencies which are a positive sign for any cryptocurrency survival. Ripple focuses on the global banking system with banks to be able to use their own blockchain without the intervention of Ripple. Mining has become very popular due to the increase in the price of these cryptocurrencies. Investors were actively finding a way or trick to get more and more coins and mining is one of the efficient ways of doing that. Miners mine the coins by validating the transaction on blockchain ledger however it is different in the case of Ripple. The market capitalization of Ripple is 100 billion and approximately 40 billion ripple coins is already out, rest is regulated by the central authority. Ripple company owns 60% of the total supply of ripple XRP coin out of which most of the cryptocurrency is locked. As there is nothing to mine in ripple what would miners mine? Each cryptocurrency is associated with a reason of existence. Most of the currencies including Bitcoin aims to replace the fiat currency and current financial institutions with their decentralized network. However, Ripple is focusing on providing fastest and cost-effective transactions. Almost 80% of the companies dealing with money transfers will use Ripple as the technology behind. Ripple has the most practical use than any other cryptocurrency or altcoin. It is very clear that Ripple is different than other cryptocurrencies and altcoins. Ripple has established itself with these characteristics and maintained its position in the top three coins. The currency has promising features for banks and financial institutions however the other side is very clear which say “Ripple XRP cannot be mined”. Ripple XRP cannot be mined but there are plenty of ways to make the profit from Ripple coin. There are alternatives to Ripple mining as well. You can mine Bitcoin or Ethereum and convert your coins to Ripple from any exchange supporting he trade pair. This is the only option available if you want to get ripple coin through mining. Otherwise, you can buy ripple using fiat currency, credit card or debit card and trade further which is also a good profit source if done right. Good luck! !